When I started researching the various types of insect repellent on the market, I expected simple, straightforward information. Some products would definitely have health concerns, others would be far safer, end of discussion (or blog post). Unlike many products, though, insect repellents include an increased level of risk assessment. Insect-borne diseases are imminent, frightening dangers in many areas. Safety must be balanced with efficacy. Choosing an insect repellent means balancing the risk of insect-borne illnesses with the risks posed by some of the chemicals used. As humans, we constantly assess and accept risks. Daily activities, even if they are dangerous, are assessed to be lower risk, and therefore are an acceptable risk. My family and I are far, far more likely to be hurt in a car accident than in a tornado, yet driving hardly registers as a risk because it is so commonplace. Tornadoes are rare, therefore they are perceived to be an enormous risk–especially by my children. However, tornadoes here are rare and usually small and brief. We are actually at a very low risk for being harmed by a tornado. When it comes to insect repellent, we have to assess the risk posed by insect-borne diseases–which varies by region and activity–with the effectiveness and possible side effects of different available repellents. In the USA, ticks and mosquitoes both carry various diseases. 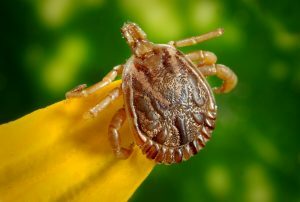 Different species of ticks are known to carry Lyme disease, Rocky Mountain spotted fever, and lesser known diseases such as babesiosis and ehrlichiosis. Mosquitoes carry West Nile fever and the Zika virus. In other parts of the world, mosquitoes carry various other diseases, some of them serious or deadly. Anytime we are planning outdoor activities in a region, whether it’s close to home or on a trip, we ought to become familiar with the insect-borne diseases and choose protection accordingly. Like sun protection, one of the most effective defenses against insects is actually clothing. People hiking (or even doing yardwork) in tick habitats ought to wear long pants tucked into socks and long sleeves. Long sleeves and pants are also recommended to protect people from mosquitoes, although it isn’t as effective against flying insects. Clothes treated with DEET or Permethrin are sometime recommended. For many people, this is where risk assessment comes it. Clothing doesn’t present a risk, so it’s worth it to wear the right clothing for protection. However, clothing treated with possibly damaging chemicals is another story. Permethrin isn’t actually an insect repellent. It’s a pesticide that kills insects on contact. The Environmental Working Group reports that it is classified as a possible carcinogen, although the National Pesticide Information Center says it can’t currently be classified as either carcinogenic or non-carcinogenic. Very few studies of the effects of Permethrin have been conducted on humans, although it is neurotoxic to animals, including mammals, at high doses through skin contact. If ingested, it is neurotoxic at much lower doses. What is generally agreed upon is that Permethrin poses a risk to wildlife and the ecosystem. When we wash it off, it can travel into waterways and affect insects which aren’t a threat, and it can travel up the food chain into fish and other wildlife. DEET and Permethin can interact and cause numerous health problems neither causes alone. Permethrin is commonly used in community spraying programs and other mass insect control projects, and this is a problem. The majority of us are exposed to Permethrin, not because we choose to use it, but because our cities, farmers, and other organizations use it. It is in soil and waterways, and has long-term effects on our environment, even if it doesn’t directly affect us. Depending on your view, DEET is either the ultimate “Better living through chemistry” or one of the worst things on the market today. A search for just the word “DEET” brings up articles warning against using it on the first page. It’s the chemical people love to hate today. Is it really as dangerous as people say? Those warning against it cite research that shows DEET causing neurological problems, eye irritation, and skin problems. Even the Washington Post ran an article warning against it. Pretty solid reasons to play keep away from the DEET, right? However, the same Washing ton Post article and the EWG cast some light on those reports. Neurological problems happened when DEET was ingested or used repeatedly, over 3 or more days, at high concentrations. Eye and skin problems happened in response to concentrations over 50%. Ticks carry serious diseases such as Lyme disease and Rocky Mountain spotted fever. The EWG and other groups are understandably cautious of DEET because it is available in high concentrations (up to 100% in the USA) and must be used with caution. It can damage certain plastics and overexposure can lead to problems. 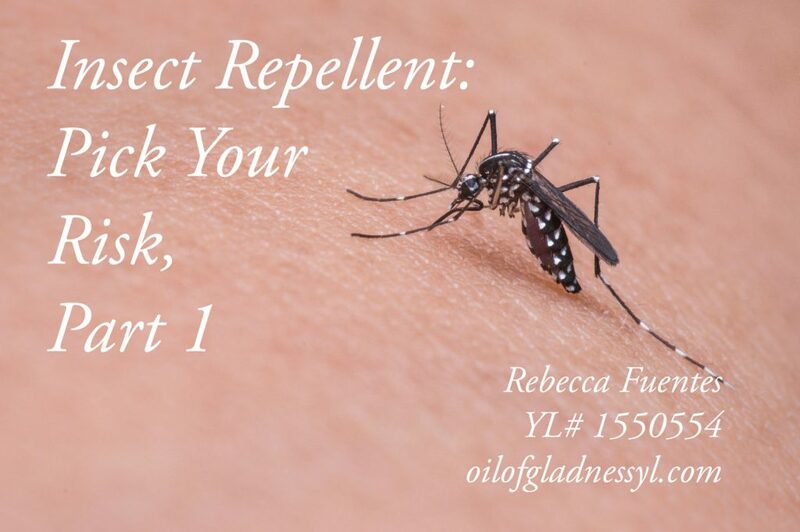 In addition, many repellents that use DEET are sprays, increasing the risk of inhaling it, which increases the risk of overdose or accidental ingestion. However, even they say, “after reviewing the evidence, EWG has concluded that DEET is generally safer than many people assume and remains a viable option for people in areas infested with disease-carrying pests. As rates of Lyme disease and other bug-borne illnesses rise, people need bug repellents that work well when it counts.” This isn’t a blanket statement of safety, rather an evaluation of efficacy and risk. DEET is one of the most effective repellents of the ticks which carry Lyme disease. Used properly and with caution, the risks of DEET are lower than the risks of Lyme disease if you live in a high-risk area. On the plus side, while DEET can be absorbed into the body from skin contact, it does not stay in the body, but is broken down and passed within 24-48 hours. DEET also doesn’t linger in the environment like many chemicals (including Permethrin). It breaks down and the compounds left are generally not harmful. DEET also doesn’t pose the danger to the food chain and other insects and wildlife that Permethrin does. Its interaction with Permethrin is a (huge) concern, though. One of the safest ways to use a DEET based repellent is to apply it to your clothing and allow it to dry before dressing. The DEET will still repel insects, but this limits its contact with skin. This page at the EWG provides an excellent chart for how much DEET is safe for different people. Obviously, it is extremely important that young children do not accidentally ingest DEET, whether it is on their clothing or hands. Care should be taken that everyone using a DEET-based product washes their hands after application. Lotions and wipes will be a safer way to apply it on skin than a spray. If you live in an area where the risk of insect-borne illness is high, DEET might be a viable option for you. You only need a 30% concentration in whatever product you choose. Higher concentrations increase risk without increasing protection–a bad trade-off. It must be used according to the instructions on the product, however. But, I Still Don’t Want to Use DEET. For many people, the risks of DEET, even if they aren’t as dire as some would have us believe, are still too high. This is especially true when we need insect repellents for young children. There are other options, and some are very effective against certain insects. It becomes a matter of knowing which one works for your individual balance of safety and effectiveness. We’ll explore these options next week.